ABT in "Swan Lake." Petipa often collaborated with Lev Ivanov, who choreographed this ballet's white acts. Photo by John Grigaitis, Courtesy ABT. Two hundred is the new 30. Or at least it seems so for Marius Petipa, whose ballets are as active as ever as we celebrate his 200th birthday this year. Nearly all major ballet companies dance Petipa's iconic ballets, which reflect his prolific creative output. 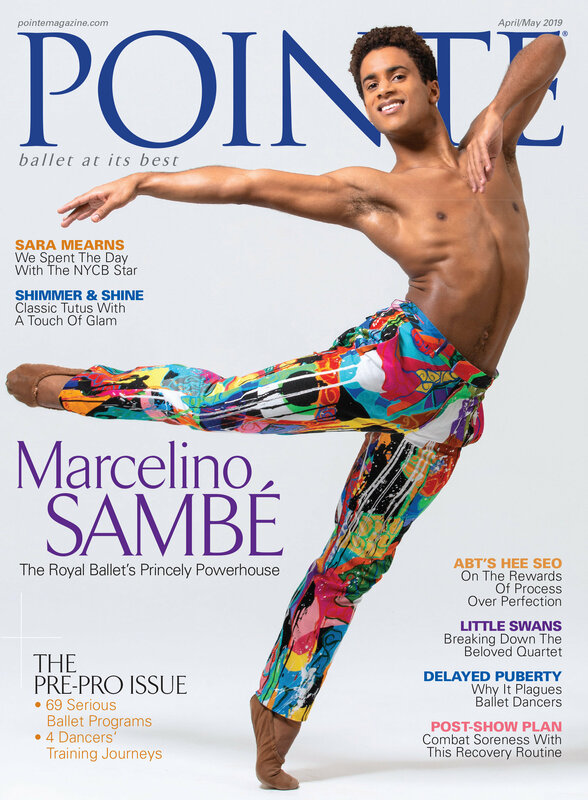 And they are heavy hitters: Swan Lake, La Bayadère, Le Corsaire, Don Quixote, The Nutcracker, Paquita, The Pharaoh's Daughter, Raymonda and The Sleeping Beauty, to name just a few of the 50-plus ballets he choreographed. He also revived and reworked earlier productions of Coppélia, La Fille mal gardée and Giselle. During American Ballet Theatre's 2018 spring season, five out of its eight weeks will be attributable to Petipa, including the debut of artist in residence Alexei Ratmansky's newly reconstructed Harlequinade. 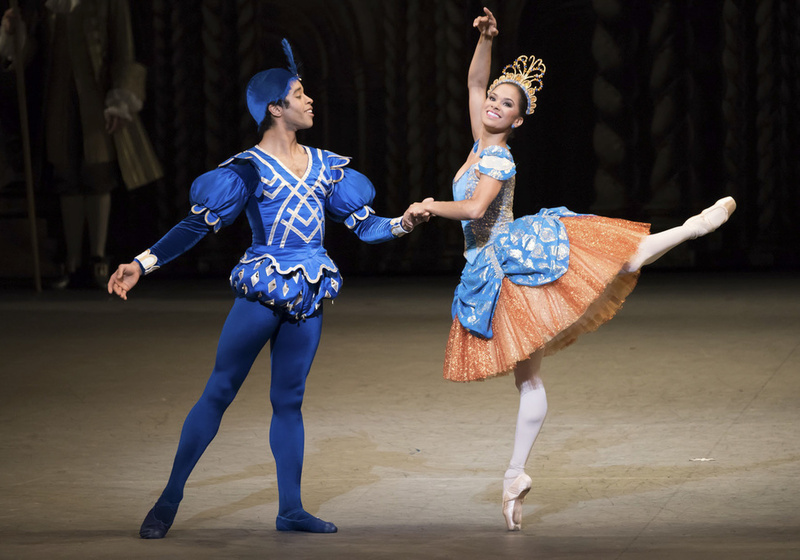 Gabe Stone Shayer and Misty Copeland in "The Sleeping Beauty." Photo by Doug Gifford, Courtesy ABT. Nadia Nerina and David Blair in La Fille. Photo by John McKran via ROH. How would you like to see the opening night cast of Sir Frederick Ashton’s La Fille mal gardée—yes, from 1960—perform the ballet’s ribbon pas de deux? Nadia Nerina and David Blair, former principals of The Royal Ballet, appear in this clip from a BBC broadcast filmed two years after La Fille premiered. The video may be black and white, but if it’s possible to feel color, Nerina as Lise and Blair as Colas are giving off rose and sunshine vibes. They’re all smiles and sweetness (and soaring legs, I saw that Nerina) in this lovers’ pas de deux. Nadia Nerina in Sleeping Beauty (1951). Photo by Roger Wood via ROH. Born in South Africa to British parents, Nerina became known at The Royal for her sparkling technique. Reportedly, she did 32 consecutive entrechat six in Swan Lake, doubling Rudolf Nureyev’s 16 in Giselle a few nights before. Brilliant technician though she was, Nerina was somewhat overshadowed by Margot Fonteyn, who swerved away from her anticipated retirement to start up her partnership with Nureyev. David Blair also had a difficult time shining next to Fonteyn and Nureyev, but he continued performing and later established himself as a respected répétiteur and coach. He and Nerina live on in memory any time a dancer emulates Colas’ charm or Lise’s candor. Happy #FlashbackFriday!